My 7 year old step daughter LOVES macaroni and cheese. Our loves of cheese are different, though (adult cheese versus kid cheese, ya feel me?). 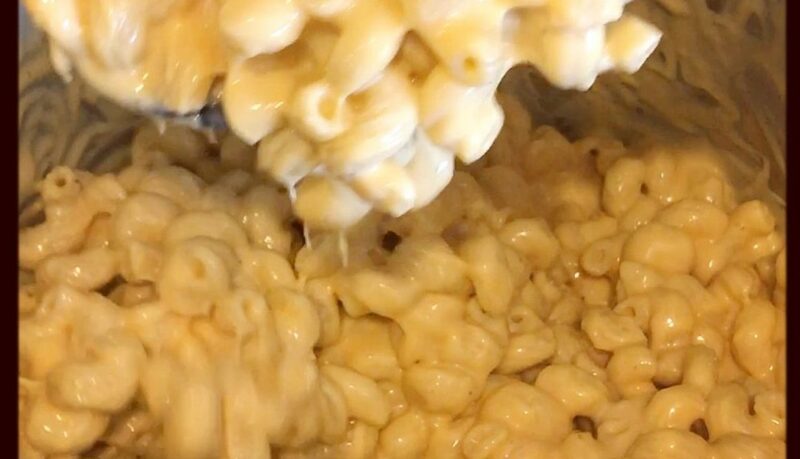 What could make Mac-n-Cheese better? Ground beef! Well, obviously I had to deliver after that polite ask, and I decided I was going to try to make it happen in my Instant Pot. Today we had plans to follow our holiday tradition by making Gingerbread cookies (check us & our cute cookies out). I needed to make something fast, and planned to fulfill her request! I had ground beef thawed in the fridge, and decided to go semi-homemade. With 1/2 pound of ground beef and 1 box of Kraft Deluxe, I re-won her heart. Y’all I wasn’t complaining eating this either… #kidapproved, but also #momapproved – freaking delicious and it literally took 10 minutes – only half of which were hands on work. Thank you, Instant Pot! Press Sauté button on Instant Pot (or browning setting on another pressure cooker). Add oil, then add ground beef. Brown for 3 minutes. Push meat to one side of Instant Pot and use a towel to grab the pot and tilt in order to gather grease. Spoon out as much grease as you can get! Open box of Kraft Deluxe (or similar mac-n-cheese with cheese pouch). *If you don’t have something nice to say about my processed cheese mac-n-cheese, don’t say anything at all ? Add noodles and water, stir. Press “Manual” (high pressure on any pressure cooker) and adjust cook time to 4 minutes. When Instant Pot (IP) pressurizes, cook time countdown will begin. When complete, IP will beep and change to “Keep Warm” setting. Press “Keep Warm/Off” button to turn Instant Pot off. Quickly release pressure (QPR) by turning vent knob to “Venting” – I ALWAYS place a towel over vent knob BEFORE turning to Venting. Open lid – you should find almost all water was absorbed – if not, drain. I had hardly any water left and did not need to drain. Add cheese sauce and stir until combined. Round up your kids, and serve them the “best” meal of their kid life! 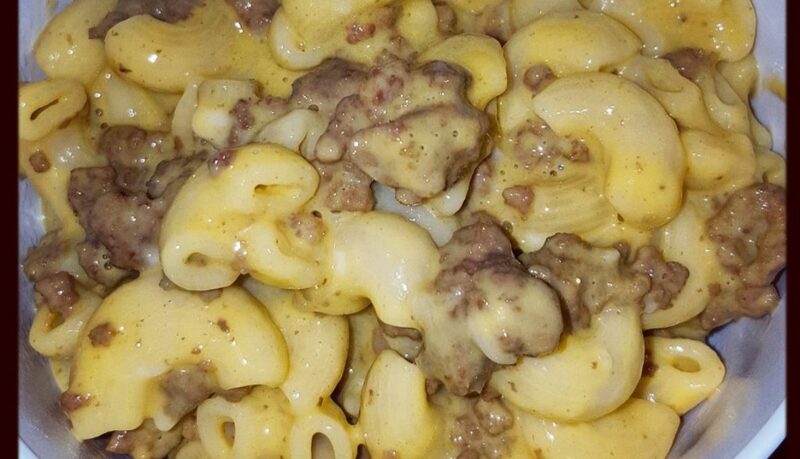 Beef Macaroni and Cheese in 10 minutes! Connect with us on Facebook, Instagram, Twitter and Pinterest! Check out all of our Favorite Instant Pot Accessories!